Sterling passed away on Thursday February 7th, 2019 (his 70th birthday) in the Perth hospital surrounded by the love of his girls. He was the cherished husband of Mona L (Hartin) Burns, dear father of Shana (Daryl) Ziebarth and Lana (Barry) Dean, proud Poppa to Coady and Brooklyn and proud Grandpa to Ryland, Marissa and McKenzie. 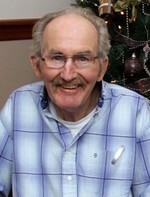 He will be sadly missed by his sisters Reta (late Russell) Burke, Lillian (Ray) Bowes and Lois (Glen) Wark, sisters in law Mavis (late Donald) Neely and Marlene (Jim) Baker, brother-in-law Ronnie (Lise) Hartin, numerous nieces, nephews, family and friends. He was predeceased by his parents Helen (Wright) and Ferguson Burns. Sterling was a long time breeder of Simmental cattle and retired after 25 years with Lafarge Canada. Friends may pay their respects at the Blair & Son Funeral Home, 15 Gore St. W., Perth Sunday February 10th, 2019 from 1:00 P.M. until 4:00 P.M. and 6:00 to 8:00 P.M. Funeral service will be held in the chapel Monday at 1:00 P.M. followed by a reception in the Blair & Son Family Centre. The interment will be held in Franktown Cemetery in the spring. In remembrance, contributions to the Parkinson Society or the Lanark County 4H would be appreciated. Sterling’s family wish to thank the doctors and staff at the Perth hospital for professional and compassionate care provided.